We all know and love Bonnie Mbuli for her work as a talented television presenter, actress and author. Taking care of her skin is not something she takes lightly, which is why she uses products that are effective, credible and adapted to her unique needs. This is also the case when it comes to her family. “As a mom, I believe that it is so important to instil good skincare habits in your children from a young age, because the care they put in now will ensure healthy skin when they are adults,” shares Bonnie. This is why Bonnie and her entire family use Eau Thermale Avène skincare products. With its origin in France, these market-leading dermo-cosmetic products are safe and effective, with credibility proven through various studies. What makes them so unique? 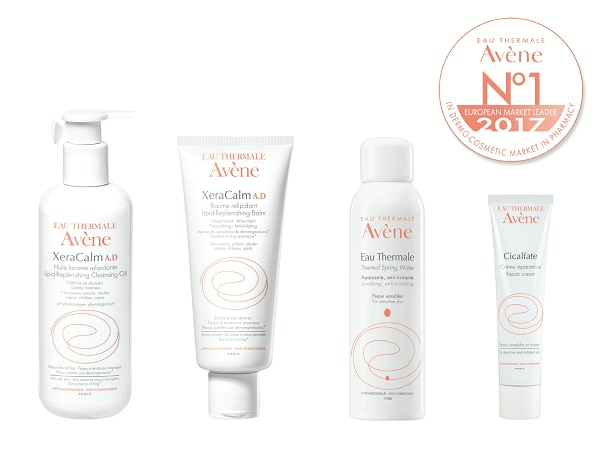 All Eau Thermale Avène products contain the signature Avène Thermal Spring Water, renowned for its unique soothing and softening benefits. The family’s favourite product is Avène Thermal Spring Water Spray. “I take it everywhere! It is always in my bag when I go to work or when we travel and there is always a bottle within reach at home. It is such a refreshing spray with so many uses. It instantly soothes skin discomfort” mentions Bonnie. Bonnie’s youngest son, Hanniel (7 years old) used to struggle with eczema. It was tough on both Hanniel and the entire family. They had tried various solutions, but nothing seemed to help. Eczema-prone skin is generally dry, rough and causes itching sensations. Although it is a condition that can never completely go away, there are ways to relieve the symptoms. Hanniel has been using the Eau Thermale Avène XeraCalm A.D range for a few months now and the results have been incredible. The range is specifically formulated to relieve dry, itchy skin and strengthen the skin’s protective barrier. “Ever since we have been using Eau Thermale Avène products, his skin has just been so radiant. There have been less flare-ups and his skin looks supported and strong,” shares a relieved and happy Bonnie.